Cozy little cabin in the Catskills, near Windham and Hunter, NY. 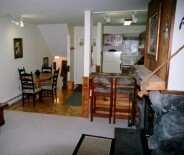 Cabin can be rented for up to 3 guests. Rates start at just $69/night and include 2 guests. Wooden walls and floors. Electric fire place. All year rentals. Fall Foliage time in the catskills!